Education in the arts is an integral part of the development of each student. Art education strengthens student problem-solving and critical thinking skills, adding to overall academic achievement and school success. Art classes provide students a chance to develop cognitive and creative skills, and to develop their imaginations. All students participate in art class once a week. Every year MTCES hosts a Spring Arts Fair. Every student has a piece of artwork on display throughout the school for the students and their family to come and see. Mother Teresa also participates in the Original Works program. 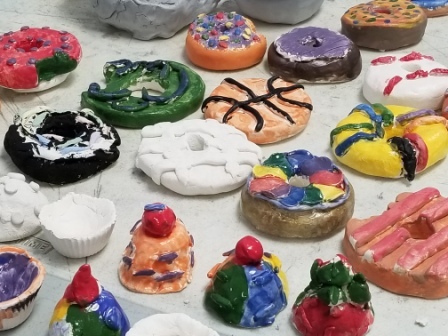 Each student creates a piece in art class, and then families are able to purchase the work on different products like a mug, mouse pad, or pillow case. MTCES tries to incorporate the arts into some of its field trips. Last year, the 8th grade students went to Funke Fired Arts and participated in a tour of the studio. This included a hands-on session with a ceramic teacher. Each student worked on the pottery wheel and created his/her own ceramic piece. The 5th graders went on a field trip to Brazee Street Studio and created glass suncatchers. They used colored glass pieces and attached them onto a clear piece of glass tile. For more information, contact art teacher Courtney Wuest at cwuest [at] mtces [dot] org. Music Matters! 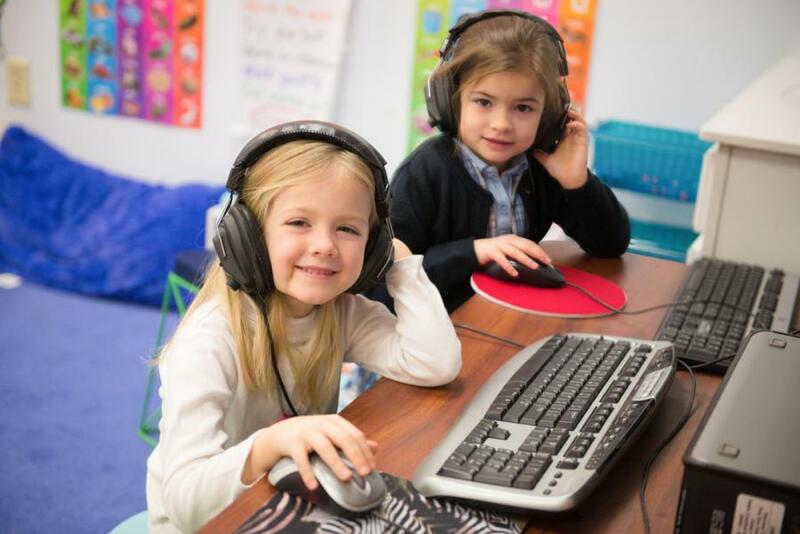 Countless studies have shown that when students participate in formal music education they use all major areas of their brain at the same time. This helps prepare the brain for successful learning across all areas of the curriculum. 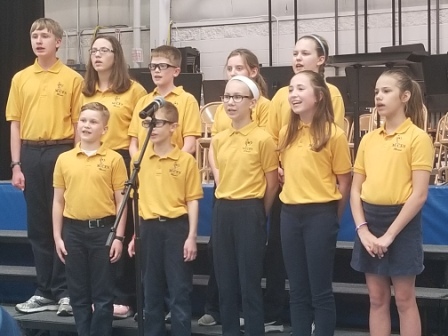 Through music, students learn how to express themselves, solve problems creatively, use their imagination, work cooperatively with others, and connect with their emotions in constructive ways. 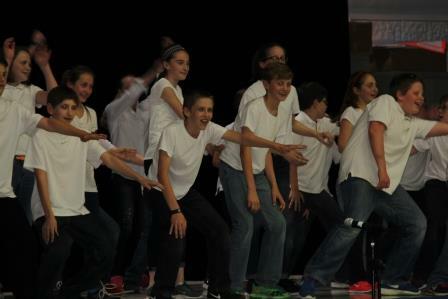 In addition to weekly music classes, MTCES offers a variety of after school activities to promote student involvement in the performing arts. Students also have the opportunity to study privately (one-on-one) with an instructor. For more information about ensembles or private lessons, please visit the Music page. 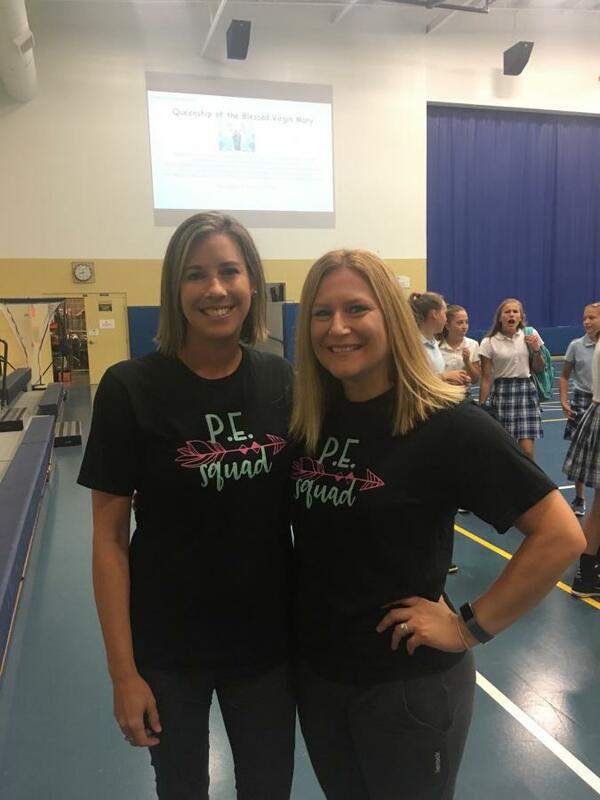 For additional questions about the school's music program, please contact Michelle Zinck at mzinck [at] mtces [dot] org. Spanish instruction begins in kindergarten, and the curriculum expands as the children advance. When students reach junior high, Spanish is studied on a level comparable to high school coursework. MTCES boasts a voluminous library with nearly 10,000 books. 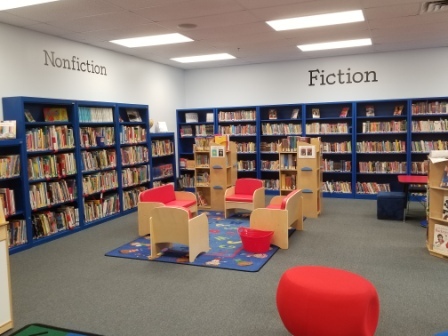 Students in Kindergarten through 5th grade have a dedicated library time each week where they can read freely on their own or are read a story by our Librarian (younger grades). 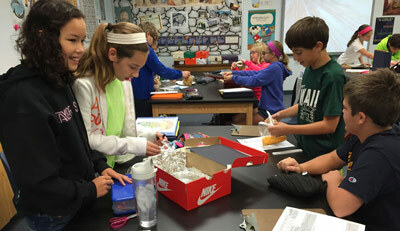 Students in grades 6-8 have optional dedicated library time each week that they may use upon necessity. For more information, contact Diane Castrejon, school librarian, at dcastrejon [at] mtces [dot] org.